In the best situation possible, you have to move because you got the job of your dreams, the new location is closer to your family (though perhaps in some cases, further), in the perfect environment for you to inhabit. Maybe you’ve always wanted to live by the ocean, and are relocating to Virginia Beach, or you’ve wanted to be closer to the city, and are going to be a short commute from Washington D.C. Unfortunately, we all know that oftentimes a move is far from ideal. Moving can be seen as a great adventure when you have things to look forward, and conversely can bring a sense of dread when you know that the next location for you is not exactly what you would have hoped for. No matter the situation, Scott’s Oceana Moving is here to help. From packing, unloading, assembling furniture, cleaning, and more, we are Virginia’s premier moving service. Read on to find advice about how to make the most of a tough move, and call us to make your moving go as smoothly as possible. 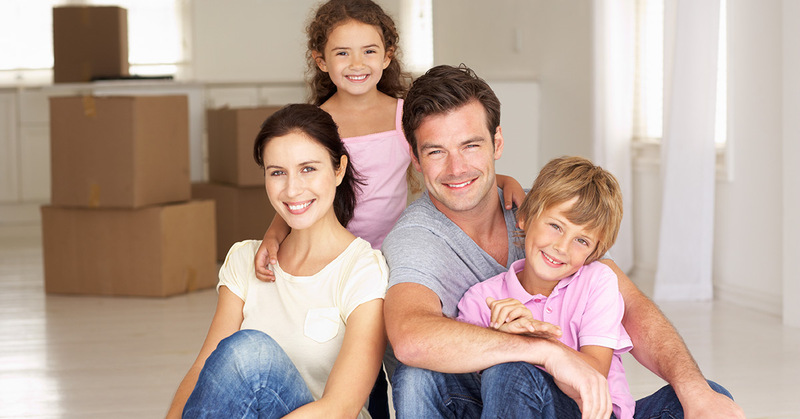 Several factors can lead to more grimaces than grins when it comes to moving. Take a look at what can cause a move to be far from exceptional. Location: The job market can be tough out there, and for anyone who has taken on a new position that’s further away, it can make you feel a bit gloomy. The location might be away from your loved ones, making it hard to stay in touch and easy to feel lonely. Or perhaps the location is simply not one that you would actively like to live in. Maybe you’re a big city type, moving out to the sticks. On the flipside, someone who loves living in the country who has to move to a city might find it equally challenging. Moves are stressful in general, but loving the location makes a huge difference. Leaving loved ones: Most people who have gone to college can speak to the homesickness that can take effect, especially in the beginning of your freshman year. Moving away from the ones we love is really hard to do, and going somewhere where your support system is not makes the move incredibly difficult. Starting completely over: One of the most underrated and least discussed parts of life is the complications of starting over in a new place. We see the moving process often depicted in these very romanticized and idyllic ways on film and in television: single man or woman moves to a new city where they know no one, and within five minutes of the movie starting, they meet someone who is destined to become important in their life. Anyone who has moved to a completely new city can speak to the fact that it’s very rare for this rose-colored situation to take place. Meeting new people definitely takes longer than five minutes, and actually building up a friend base can take months, if not a year or so. Starting in a city or location where you know no one, where everything is new, is ridiculously difficult. Knowing the reality of starting over can definitely make moving tougher. Cultural differences: Maybe you’re just moving from one politically-aligned state or district to one on the opposite end of the spectrum, or maybe you’re moving from a place of amazing comfort food to a place with chain restaurant after chain restaurant. In some extreme cases, maybe you’re moving to a new country entirely. No matter what, the cultural differences can very easily seem overwhelming. This isn’t to say or assume that the differences are bad, but it is noticeably different when your home culture doesn’t match up to the place you’re moving to. Different can be great, but if you’re craving time on the boat or that Indian restaurant down the road, it can make the strongest of us wistful for the familiar. At this point, you’ve likely accepted that your move is happening, but perhaps can’t shake that sense of impending doom. There are so many ways to make the best of the tough situation! This list is not to devalue your experience in any way—as Virginia’s moving experts, we know how hard it is to say good-bye. But learning to cope will make your experience improve significantly. The age old adage gives us this advice, because when it comes to new and old friends, “one is silver and the other is gold.” There’s a reason this sentiment is timelessly relevant. When you’re moving somewhere and not looking forward to it, you likely are thinking of the people you’ll have to leave. Keep in touch with them regularly. For some people, having scheduled talk time helps to maintain the relationship, but for the people you’re closest to, strive for something more. Get to a place where you feel like you already know what’s going on in their lives, call them on a whim when something hilarious happens, and the distance won’t seem nearly as great. For new friendships, get involved as soon as possible. Avoid putting off meeting new people. Get your place in order, and invite others over—join a Meetup, an ultimate frisbee league, a knitting circle, whatever you can to get to know others. Once you meet someone new, you’ll likely meet their friends as well, thus expanding your circle! It’s a ton of work to make new friends, but it is so, so worth it. Get to know the area, but maintain a sense of adventure. Even if you feel like you’re moving to the middle of nowhere, find a place or a spot that brings you joy. This could be as grand as a national park, and as simple as a precious little coffeeshop. Make a place your own, and you won’t feel as out of place. Additionally, make an effort to explore and try new things as much as possible. Always think in terms of this being a great and exciting time in your life. The best stories are not the ones of those who stayed at home all the time, they’re the ones composed of hardship and joy, highs and lows, and always new experiences. You could very well do everything in your power to make this less-than-ideal move a positive experience, and still not feel very enthused about where you live. Remember that ultimately, this does not have to be a final destination by any means! It doesn’t matter if you’re 22 or 62, it does not have to be late for you to end up in the place of your dreams. If that doesn’t happen with the move you’re about to embark on, it’s OK. Make the best of the time you have in this location, and use this move as a vehicle to take you to the location you want to go. If a move is causing you emotional distress before it even begins, it’s completely within your best interest to call a moving service. The best professional movers will take care of your belongings from start to finish, freeing up a great deal of worry from your mind. Call Scott’s Oceana Moving to handle your move today!